At Beverly Dental Center, Dr. Oh and Dr. Lee’s commitment to innovation, modern dentistry, and state-of-the-art technology will be clear from the moment you step inside our practice. Using advanced tools and techniques leads to several excellent benefits for our valued patients – improved comfort, excellent efficiency, added safety, elevated accuracy, and much more. Keep reading below to learn more about our available technologies, or contact us today in Carrollton, TX today to schedule a first visit. Dental phobia is a widespread concern among patients of all ages – some may even skip much-needed appointments because of anxiety or fear. Our team wants to help make this experience as pleasant, relaxing, and smooth as possible for every person in need, which is why we offer sedation dentistry. These effective techniques (including nitrous oxide and oral medication) can take the edge off of negative emotions and help you reach a state of genuine comfort throughout procedures. 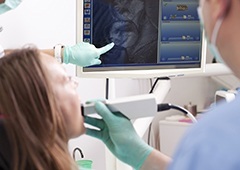 Intraoral cameras are excellent diagnostic tools that can give both our team and the patient themselves an up-close-and-personal tour of their oral health. We will maneuver a camera-tipped wand around the teeth and gums, capturing high-resolution images that transfer to a convenient monitor in the operatory. This visual aid will help us explain any damage we find, potential treatment options, and other important information with improved clarity. 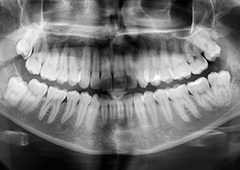 X-rays are a vital part of dentistry because they allow us to view important structures that are well-hidden underneath the surface of your smile. Our team uses digital radiography, which offers several valuable benefits over traditional film. Patients won’t have to worry about darkrooms, hazardous chemicals, or tedious waiting – the images are captured and instantly available for viewing without any need for development. 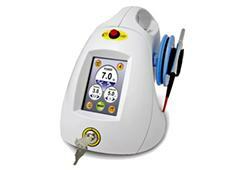 The precise nature of the technology also reduces radiation exposure by up to 80%, which makes the process much safer. 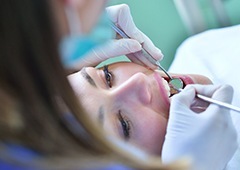 When planning complex dentistry like root canal therapy or the surgical placement of dental implants, our dentists want to be as prepared as possible. 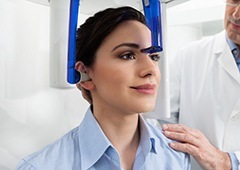 Our revolutionary 3D Cone Beam captures comprehensive, panoramic models of the teeth, jaw, skull, and related structures so that we can view everything in perfect detail and determine the best path forward for treatment. We want to make success a virtual certainty for patients in need! 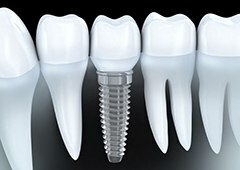 To make dental implant placement more accurate and comfortable, our doctors utilize technology that help them plan and even perform the procedure using a 3D model of a patient’s mouth and jaw. This enables them to not only find the perfect place for the new teeth, but also avoid sensitive nerves located in the jaw to help ensure a speedy recovery. Our diode dental laser emits a highly-concentrated beam of light, and with it, we can perform a number of soft tissue procedures faster and safer than ever. We can eliminate bacteria located beneath the gum line, remove infected tissue, perform frenectomies, and even provide a quick gum lift to beautify the smile. No matter which treatment we use it for, it’s able to minimize pain and bleeding while also delivering consistent results.